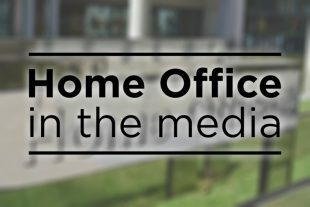 Today’s Home Office stories include widespread coverage of the repercussions of the Salisbury Novichok poisoning. There is also continued coverage of the seasonal agricultural workers scheme and the granting of an emergency passport to the six-year-old boy stranded in Brussels. There is widespread coverage of the Salisbury incident, with broadcast and the papers taking various angles. All of the papers and broadcast report on the support from UK’s allies at the UN security council in New York. They note that the UK received support when US, Canada, France and Germany issued a statement saying they backed the UK, and urged Russia to disclose in full its Novichok programme. The papers report that the Kremlin response is that “no one in the Russian leadership” has anything to do with the poisoning and they will not be investigating the two suspects. The papers add that the Security Minister said the Russian President was “ultimately responsible” for the attack. The Guardian reports that the new Government visa scheme for agricultural workers has been criticised by farmers and fruit growers for not going far enough to plug the gap opened by Brexit. The piece notes that while the scheme was welcomed as a step in the right direction, farmers’ associations say it barely addresses the needs of British summer fruit and vegetable growers, who employ 60,000 workers a year, mostly from eastern Europe. The Independent follows up on the six-year-old British-born boy who was unable to return to the UK following a holiday in Brussels. The paper says Mohamed Bangoura was unable to return to the UK after the Home Office had revoked his passport. The paper now reports that the Home Office said it would be in contact with the family to make arrangements for reuniting the boy with his mother. Our statement below makes clear we have contacted Mohamed's mother to inform her that her son is being issued with emergency travel documents to allow him to travel to the UK. A letter was sent to Mohamed’s mother in March advising her that her son’s passport had been revoked. We understand that despite this Mohamed was taken out of the UK in July and last Sunday was unable to re-enter as he did not hold a valid passport. We have now contacted Mohamed's mother to inform her that her son is being issued with emergency travel documents to allow him to travel to the UK.